Regardless of all the abuse and neglect, and losing two of her four pups, Billie Jean still adopted a beagle puppy in need. 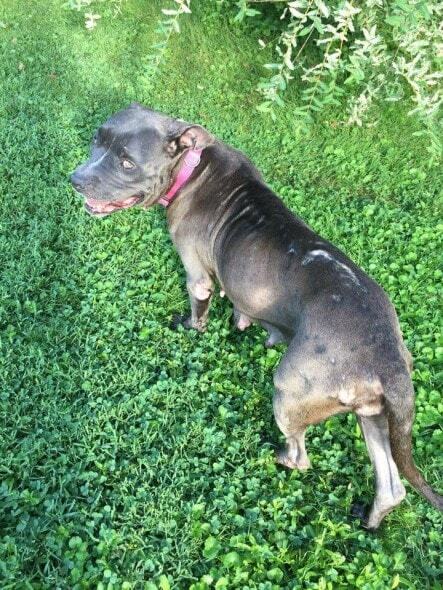 When Billie Jean was surrendered to Georgia’s DeKalb County Animal Services, she was in terrible condition. She barely had teeth left, and was scarred all over her body, she had kennel cough, heartworms, and on top of all of that, she was pregnant. 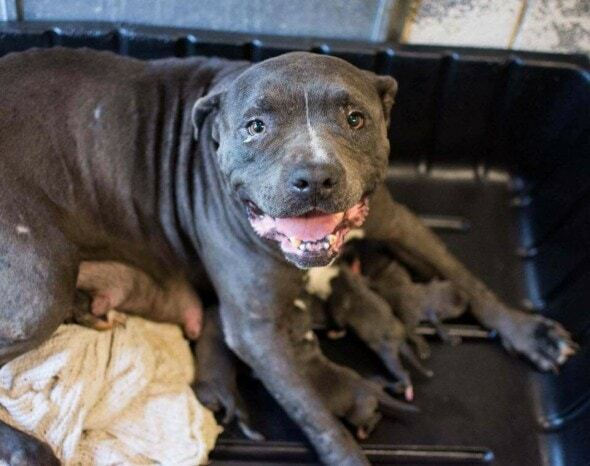 She wasn’t at the shelter very long before she gave birth. 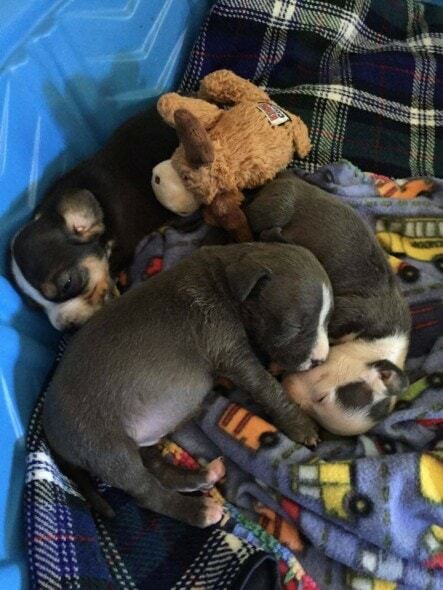 The puppies weren’t in very good health, but that wasn’t a surprise given her condition. 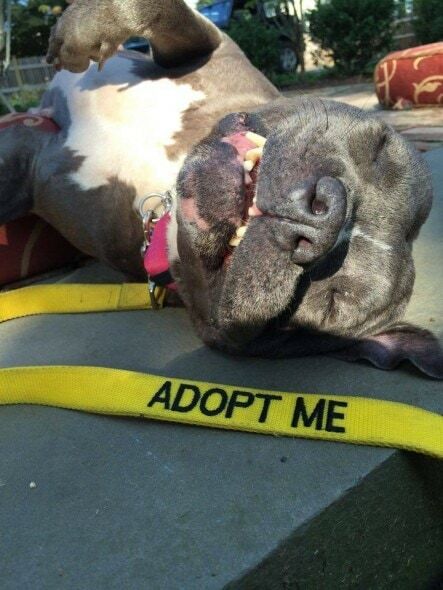 She needed to get out of the shelter ASAP, so Rescue Dogs Rock NYC stepped in to help. Before she could be rescued with her puppies from the shelter, she came down with pneumonia, which delayed things for a bit. 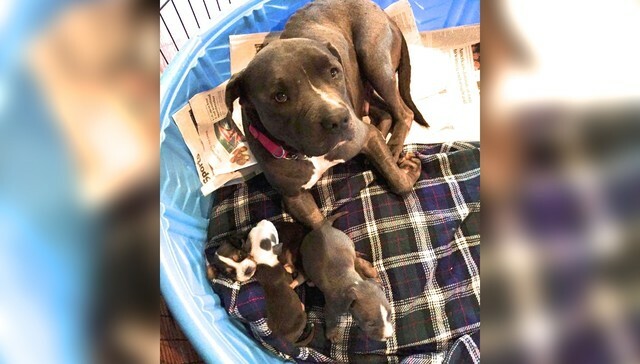 She had to be separated during this time from her pups, which had to be devastating. 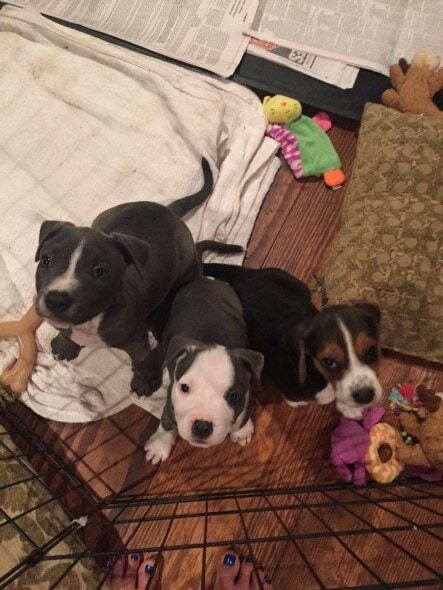 So to be reunited with them and find out only three of four pups survived must have just been awful. However, she are her family were going to a foster home where hopefully things would get better. According to her new foster mom, regardless of all the terrible things she had to go through, she’s still the sweetest dog ever. She has a spirit that’s just unbreakable, and is so full of love she has no choice but to give as much of it as she can in an effort not to burst! “Her darling spirit of forgiveness and love shined through from the moment that I met her,” said Dubnoff. 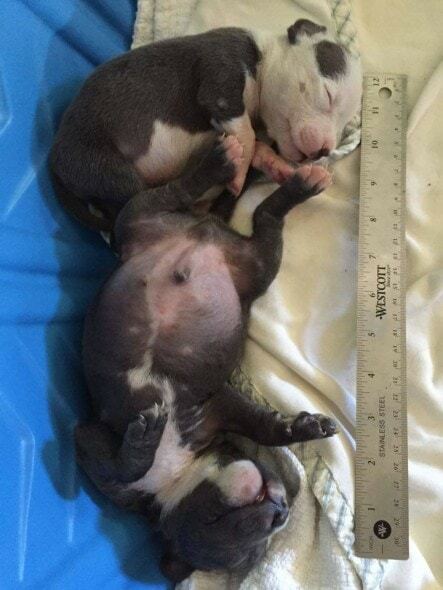 Unfortunately, one of Billie Jean’s other pups didn’t make it as well. She was just too weak, and after surviving everything her mom went through while she was pregnant with her, and even surviving as long as she did after that it’s a miracle she was alive as long as she was at all. One would have to assume that after all of this, and losing two babies, that Billie Jean might be a bit defeated so to speak. However that’s not the case at all, here. 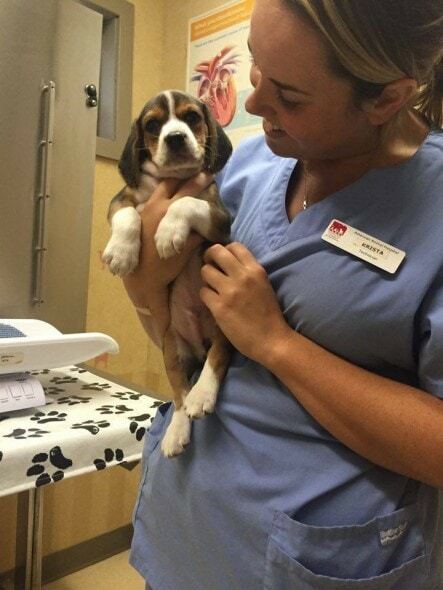 While still fostering Billie Jean, Dubnoff got another call from Rescue Dogs Rocks about an orphaned, two-week-old beagle needing some help, and they thought that Billie Jean might be a good fit for a foster mom for this little one. Dubnoff took the little guy in, and Billie Jean’s reaction was just beyond what was expected. “Mama Billie Jean took him right in as her own,” Dubnoff said. Billie Jean and her little family are all still available for adoption, and need a good home with people that will give them the extra love and attention that they may need. 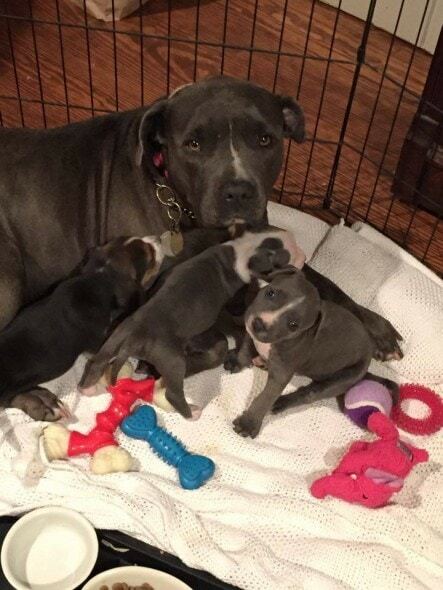 If you’re interested in learning more about Billie Jean or her pups, you can click here for more. 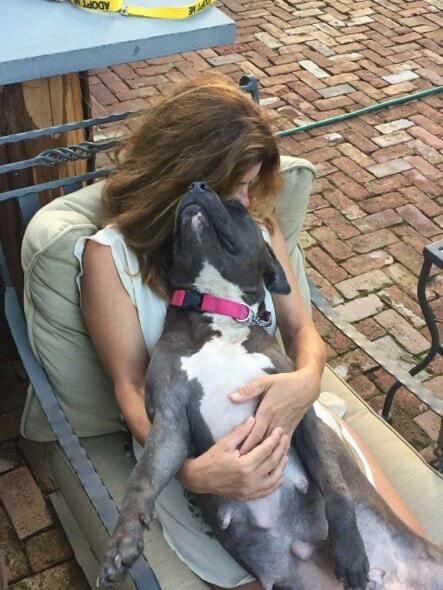 We need to change the mis-perception of pit bulls. We also need to get the humans who treat them in this way put away somewhere. 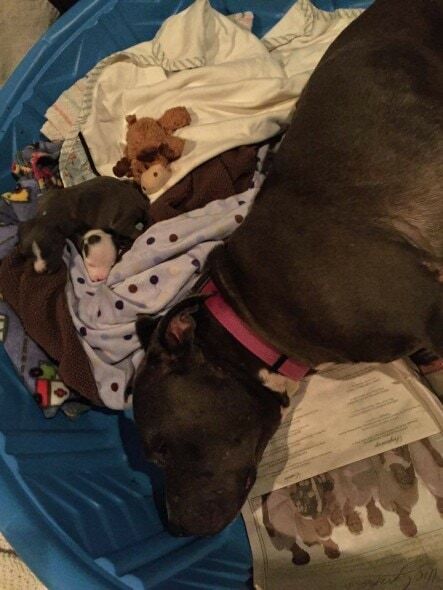 Stories like these show in such a beautiful way the loving soul of our pit friends. Thank you. you seem to be misinformed about animal behavior. When you bring a baby home, does it grow into a child/teen that runs the household? Only if you let them! Same goes for animals. What they really want is for the human to be the master. You teach children, and the same is true for animals. Teach them obedience and stay firm on the household rules and you will have a well-behaved pet friend who wants nothing more than to please you.. Seems to me that YOU are the misinformed one. All dogs want a pack leader. If you see a dog, no matter the breed, misbehaving it is the OWNER’S fault, not the dog’s. Dogs look to us for guidance and prefer to know what is expected of them. I’ve seen young children half the size of pitties walking them on leash and giving commands to their dog and the dog obeys like the little one was 10-feet tall! Forget the media exposure about pits. They only report on the tragedies; almost never on the wonderful kind breed that these dogs truly are. Difficult race to master? Seriously? They are the most easy going dogs on the planet. Please educate yourself. Unfortunately it looks like you’re the fool. To justin… Sorry, I did not know you have seen school only on a photo picture and you are unable to read correctly. Watch news instead of drinking beer, you primitive snow man.